"JoAnn is a consummate professional with a great eye for detail and fashion. I recommend her without reservation." - Gary B. "​JoAnn has many years of experience with great testimonials, that’s what makes her so great, JoAnn is a very caring honest giving person, I highly recommend her." - David C.
"JoAnn is a person who possesses the vision, commitment, knowledge, and skills to be successful in any mission she undertakes. She is a hard working caring professional highly respected by all who are fortunate enough to know her. She is highly skilled at coordinating and making everything fall into place with ease. Her quiet, thoughtful demeanor brings calm and direction to what at times could be a hectic and seemingly insurmountable undertaking" - Mike M.
"I have known Joann for about 10 years and she is an inspired designer. Her sense of color and balance is inspiring. Her attention to detail is also remarkable, providing me with a design that not only I loved, but also my husband whose likes are often opposite from mine. I have seen many of Joann's jobs and they were all very impressive. I loved working with Joann and would highly recommend her to anyone looking for an expert to help them with their design - from preconstruction to refreshing a tired looking room she's great!" - Debbie N.
"JoAnn is a personable, creative, detail oriented, Interior Designer, who always puts her clients first. I have worked with her on many projects over the years, and without exception, each one has been completed flawlessly. JoAnn is a pleasure to work with and I highly recommend the service she provides." - Derek C.
"JoAnn's design style is truly remarkable and unique. Her work ranges from the simple to the sublime! 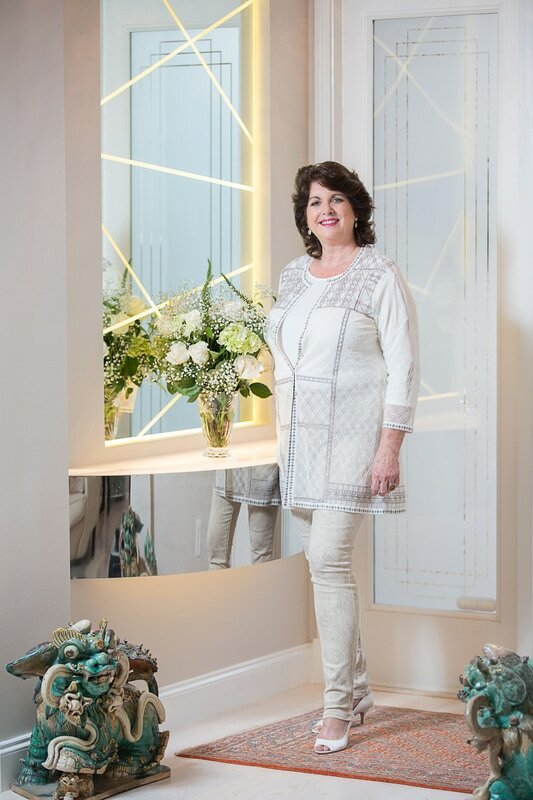 I've seen such varied design styles within her body of work, it makes me believe she can provide the best interior design for any client." - John W.
"​JoAnn helped me tie together a great look for our sunroom. She showed us that we did not need to buy new furniture; we had everything we needed already. The room looks just as I imagined it in my head but better! Thank you!" - Maryann W.
"​JoAnn has not only done a wonderful job in my home but she was a great asset in helping me to move into my new office space. Everything from laying out the space with proper dimensions to locating and taking me to shopping locations for business furniture new and used! JoAnn gives free advice along the way, she is very affordable and she turns your space into a place you can enjoy!" - Cathy P.
"JoAnn has done many projects for me and my clients over the past 18 years. She has always adhered to the budget set, has provided very creative and beautiful ideas and worked to completion on time. The value she has provided is consistent with the quality and the personal service. I would gladly recommend JoAnn Munro to anyone who needed an interior designer and wanted a professional who provides consistent service and products." Anne C.
"Thank you all for the kind words. It has been and always will be a pleasure to help my Clients create the perfect look in any room, home or business."